Are you going to build the project yourself or turn to deck builders in Toronto? A seasoned pro is the best way to go. If you have the skills and tools to do the job, make sure you plan the job well. Unless you are a trained carpenter or wood working expert, you may want to consider an experienced professional. You want to get the most for your money. The final product must meet your expectations and truly enhance the overall value of your property. Outstanding deck building is an art. Make the right decision. There is no room for error. What are some of the factors you should consider before jumping headfirst into deck building in Toronto? We have determined that you must decide who is building the project. But you also must consider location, design, and budget. All of these factors go hand in hand. Prepare a plan that includes all of these considerations. You or your deck contractor will need it when the project begins. The location of your deck is very important. Do you want it connected to the home? Maybe you want it to stand alone somewhere in the backyard. This will depend on the amount of room you have to use. It also depends on what you want out of your deck. This is where your budget comes in as well. A friendly deck builder can help you with these decisions. The design you can pursue depends entirely on your budget and imagination. 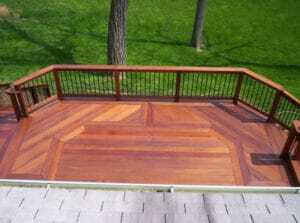 There are deck contractors in Toronto that can create a memorable location at competitive rates. If your budget permits, you can have your deck designed to meet all of your desires. How about a built in fire pit? Maybe you would like room for a hot tub or a nice BBQ area. Perhaps you would want an awning or pergola. You definitely want room for a comfortable sitting area. These are all things you need to take into consideration. Now you know what to consider when choosing a deck. Decide who is going to build the project. Determine where it will be built, what design you want, and how much you have to spend. 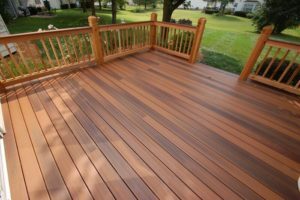 We recommend you contact deck builders in Toronto and get the most bang for your buck.